The city government's wait-and-switch may only galvanize protesters, experts say. FP solicited opinions and predictions from several experts on Hong Kong, Chinese history, and Chinese politics. George Chen is a Yale World Fellow who writes regularly about China and Hong Kong affairs; Jessica Chen Weiss is assistant professor of political science at Yale; Jeffrey Wasserstrom is a professor of history at U.C. Irvine; Allen Carlson is an associate professor of government at Cornell; and William Hurst is a associate professor of political science at Northwestern. FP: What do you make of the government's rationale for cancelling Friday's scheduled talks? Wasserstrom: I find it a curious and unconvincing rationale, given how little has changed, on the side of the students, since the plan to hold the talks was announced. Weiss: The government's decision to cancel the talks is a step backward. Even if the talks failed to make concrete progress, their existence helped demonstrate a good-faith effort at consultation and compromise. Although there was a wide gulf between the government's stance and the students' demands in preliminary discussions, the preemptive cancellation of Friday's scheduled talks makes the government look recalcitrant and will fuel further tensions. FP: Do you think this late cancellation was planned in advance? What strategy is at play behind this (if any)? Chen: I don’t think the cancellation was planned at the very beginning. The government may feel it can persuade the students to give up their two “unlawful” positions: their demand that Beijing to withdraw its decision on electoral reform [which requires Beijing to pre-vet candidates for Hong Kong's head of government] and Occupy Central [which has blocked certain key roads]. Apparently, when the government and students began to plan their meeting, both sides felt the gap was too big. The strategy behind the government's calling off the meeting is clearly to put more pressure on the students. The government tried to paint the students as a bunch of uncooperative kids amid growing dissatisfaction among ordinary Hong Kongers [due to the disruption caused by protests]. Hurst: I do not think it was pre-planned. I think it is possible that there is turmoil within the Hong Kong government, between the corruption allegations now swirling around C.Y. Leung, possible splits among key actors over how to handle the protests, and perhaps mixed or unclear signals from Beijing on what concessions are feasible. In other words, there may be no strategy and the government could thus be playing for time to figure out what to do. But it is also possible that we should take what Chief Secretary Lam said in her remarks at face value, suggesting that we are at the same kind of tactical impasse we so often observe in such situations. Carlson: If it was, at least in terms of developments over the previous few days, it was a brilliant move on the part of the Hong Kong government and Beijing. Earlier in the week, when talks were first announced, they had the effect of taking quite a bit of air out of the protest movement’s collective balloon. There are, though, two rather glaring problems with such a line of reasoning. First, it suggests a level of policy coordination and cooperation, not to mention strategic foresight, that strikes me as quite extraordinary. How is it possible that they [in Hong Kong government] have now become such skilled operatives that they can game out such a complex, and unfolding, set of variables. I doubt they have; rather, what we are likely seeing is more the result of divisions and differences within the halls of power over how to handle the protests. 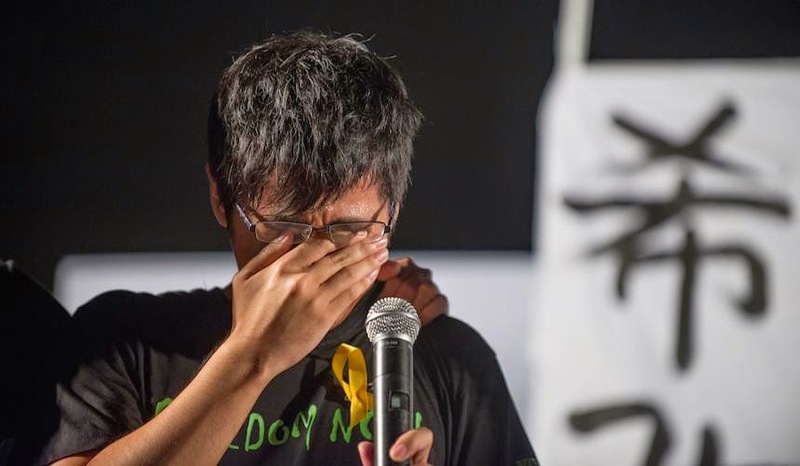 Second, if it is, indeed, a strategic choice, I suspect that the short-term benefit of pulling the protests back from the brink earlier this week will be far outweighed by the long-term costs of an even greater erosion of trust on the part of the Hong Kong people toward those who govern them. FP: If you were advising the protesters, what would you urge their next move be? Wasserstrom: They have been doing a lot of the key things already, such as working hard to mobilize in orderly and calm ways that undermine the government line on the protests being chaotic acts. Carlson: For now, I would tell them to do nothing. If the rug is being as unceremoniously pulled out from beneath the talks as now appears to be the case, it is the Hong Kong government and Beijing that will look to all as incredibly disingenuous, clumsy, and uncompromising. In other words, this has the potential to be a public relations disaster for the government. Anything the protesters do, in terms of taking to the streets, would only, for the time being, undermine the crystal clear nature of such a blundering move. This being said, once the dust settles the protesters will be in a stronger position to make their case to the people of Hong Kong and the rest of the world about the legitimacy of their concerns and misgivings about a government that they no longer trust. Chen: The students should rethink their demands. Negotiation is not about yes or no. Negotiation is always about supply and demand -- what you can offer and what you want to get. Is there any room for students and the government to sit down and to first agree that they want to improve the existing political system, and let’s work together to reframe or redefine what Beijing’s decision really means? I believe there should be room for negotiation to focus on how to reframe and redefine Beijing’s position. We can argue what “representative” means, based on the articles of the Basic Law [Hong Kong's constitution]. If not a civic nomination, then what is the other alternative to get the widest possible nomination process that fits the current social reality? Weiss: A more unified process for coordinating the movement's actions and demands would improve its chances of success. Even those who support the movement's objectives have expressed concern that the lack of an authoritative and representative leadership may make progress in negotiations with the government difficult.